OnlinePoker.co.nz was created to provide an invaluable resource serving the growing population of Kiwi poker players. The question on our minds (and possibly yours) was "Why should players from New Zealand rely on generic information on poker?" It was about time that New Zealand had a comprehensive site for all things poker staffed by professionals who are obsessed with poker as much as you are. So, this site is for you. We are your one-stop shop for New Zealand poker's happenings. We endeavor to bring you a great variety of free poker information that can help you navigate the exciting world of Kiwi poker, both online and live. Our expert staff will provide reviews and advise on everything from the top places to stack your chips in a live game to how to evaluate and select the best online bonuses. What does OnlinePoker.co.nz offer you? We encourage questions and feedback from our loyal readers. Feel free to drop us a line at contact@onlinepoker.co.nz. Cyenna was born in Queenstown in the shadow of some of New Zealand's top live poker. She cut her card-playing teeth on friendly games with classmates, but it wasn't until her years in college studying economics in the United States in Las Vegas, Nevada that she took her game to the next level. She started playing regularly on The Strip and eventually tried her hand as a live poker room dealer. She began writing about poker and events around the Vegas circuit in her blog which quickly earned her some writing gigs for various gaming magazines in the U.S. and Europe. Now, back home in New Zealand, we are excited to have Cyenna's experience and analytical skills at our disposal. He's come a long way from his early days insisting that Q-3 is a quality starting hand. While his friends won't let him forget it, he laughs about that now. Nowadays, there isn't a better human odds calculator in New Zealand than Eric. He can rattle off odds of winning or drawing out almost as fast as a player can glance at her hole cards. Eric is also our resident legal expert. He is obsessed with the various laws regarding live and online poker (and gambling in general) in New Zealand, the U.S. and in emerging markets around the world. He has offered his experience as a gaming consultant to various film industry projects and has focused his writing on poker and gaming websites with a special emphasis on gaming laws. When it comes to being immersed in the poker life, well, let's just say Eric is pot committed. He can spend hours arguing odds with Eric. (Odds are always 50/50 right? It happens or it doesn't.) Glenn is blessed with a photographic memory which serves him well at the table. He can recite hand progressions from hours earlier in a Hold'em game like some people can recite lines from their favorite film. He has provided analysis for various poker broadcasts and has written extensively on betting patterns and hand analysis. Sometimes it seems like he has X-ray vision the way he can predict hole cards. When he is not at a casino poker table, on his laptop playing online poker, reading about poker, writing about poker, talking about poker and dreaming about poker, Glenn is an avid amateur rugby player. SECURITY– We will not recommend a site unless it meets that highest standard for security and encryption. BONUSES – When reviewing the top Kiwi-friendly poker sites we look Welcome bonuses, reload bonuses and which sites offer the best value for New Zealand's online players. DEPOSITS – New Zealand's players want speed of deposit and a variety of deposit methods so we look for sites that offer the best of both worlds. JACKPOTS– Sites offer a variety of jackpots both progressive and more modest regular jackpots. VIP PROGRAMS– Online poker rooms offer a variety of VIP or similar programs for regular players. We will point out sites that offer great value to their players. SOFTWARE– Software and the visual play experience is variable between sites. We will look at sites and let you know about platforms supported, ease of use and reliability. CUSTOMER SERVICE– This is a no-brainer for rating sites. If players have an issue with game play, deposits or withdrawals, they need to know what sites have the best customer service. Why Should You Use OnlinePoker.co.nz? We offer the New Zealand poker player the absolute best in online poker reviews, analysis and general information. Our reporters and writers are both professional and unbiased. We have no connection to any particular organization or entity in the industry, so you can rest assured that our information or reviews are not swayed by any corporate influence. We are firmly dedicated to the overall online or casino experience of our readership. You will not find stale or outdated information on OnlinePoker.co.nz because we make sure that our material is updated on a regular basis. The poker world changes with major events, technologic advancements and shifts in legality. We will keep you abreast with the latest information brought to you from our staff of professional writers. 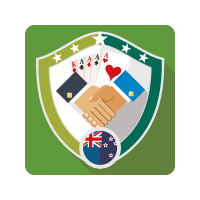 We know that we will be your go-to online destination for Kiwi-friendly poker information and analysis. You need a great online destination to accent your online poker and gaming experience. OnlinePoker.co.nz will no doubt become an indispensible resource. Bookmark us. You'll be glad you did.